We were skiing the double-black north bowl area of 9990 when we came to a very steep, narrow slot through some trees. it didn’t look prudent, so we traversed out on what patrol told us is called the “Summer Road”. As is usually the case when these things happen, it was relatively flat but bumpy and AiRung had a twisting backwards fall. She heard a “pop” so we knew it was the ACL. This was her good knee, because the other one already had ACL replacement and she has a brace on that knee. 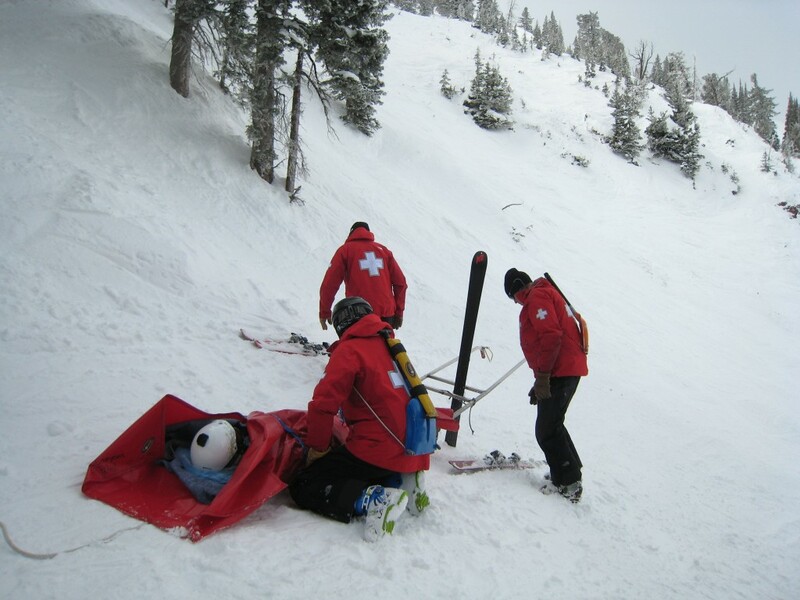 The ski patrol was very helpful and got her down to the clinic from a very precarious spot. According to them they don’t get many sled evacs from that area, but they did an awesome job. The clinic took X-Rays and gave her a brace. We came back a day early and she was able to see her favorite bone doc in Fremont, who amazingly was able to do the ACL replacement surgery the very next day. So injury to surgery was only 5-days. She’s recovering and will be back on skis next fall, but the project is on hold for now obviously. To avoid this in the future, I am going to retrofit both of her skis with Knee Bindings. Apparently there hasn’t been a single reported ACL injury with these bindings, and they are becoming quite popular so there is a lot of actual use of these things going on. Why didn’t I do this sooner?! I put up a new review of our home resort Heavenly. The lack of snow and temps in the 60’s are not helping, but I do plan to get a couple more weekends out of this strange snow year. This entry was posted in Uncategorized on March 18, 2013 by Ron Thompson.